Throughout time, humankind has caught glimpses of fantastic creatures. Whether these legendary forms were seen emerging from the depths of the sea, rustling through tree tops, taunting villages or peacefully drifting amongst the stars, they have stirred our creativity and played a powerful role in our collective imaginations. Of the ancient world’s legendary creatures, we may know Greek mythology’s divine winged stallion Pegasus, or perhaps the dull-witted trolls of Norse folklore. However, this exhibition explores the less familiar ancient creatures of Hindu mythology. Expect to encounter the dueling monkey brothers Vali and Sugriva, the infinitely long cosmic serpent Ananta, or valiant Garuda, king of birds and sworn enemy of snakes. And Mahishasura, a near-immortal demon buffalo who goes to war with the gods and eventually loses to a tiger-mounted goddess in an epic showdown that is still recited today. 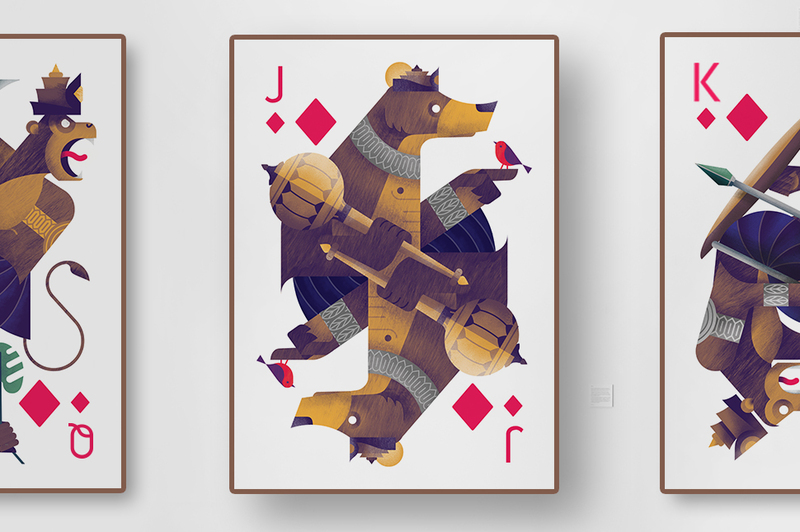 Over thousands of years oral storytelling was the primary tool for sharing the cultural identity and values embodied in these myths.To share these stories with you, the design duo Humble Raja has brought these fantastic beasts to life by illustrating them as a set of playing cards organized into suits by the exotic environments from which they originate (the sky, the sea, the jungle and grasslands). The mythical creatures each take their form as the face cards allowing the theme of their environment, colour and common patterns to stitch each suit together. The exhibition is a nod to the mystery and allure of these lesser-known creatures. Pairing contemporary design with old folklore, ‘Forbidden Forest’ celebrates the art of storytelling through a series of illustrations, making it accessible to people of all ages and backgrounds. 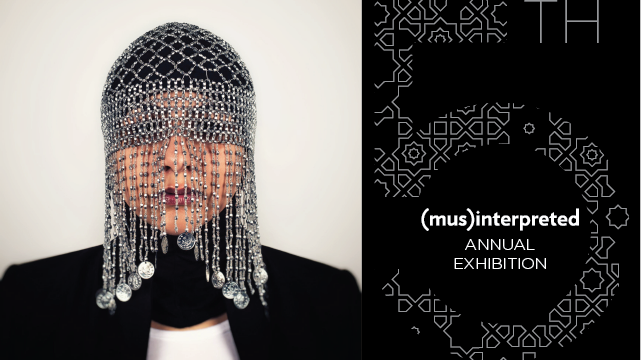 The 5th annual (mus)interpreted exhibit showcases the work of 19 Muslim women who live and practice in the Greater Toronto Area. Through a variety of mediums and approaches to the visual arts, these artists explore personal and political narratives, document and reflect on their lived experiences, and navigate the notions and spaces in which Muslim women are defined and redefined. This exhibition provides alternative perspectives into the diverse realities of Muslim women. It is a testament to past struggles, a celebration of resilience, and a collective envisioning of a self-determined inclusive future. Dust Cycles at Nuit Blanche 2018! 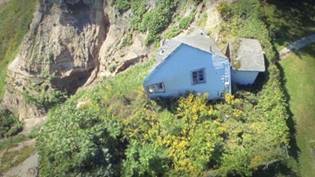 Dust Cycles uses 16mm film and aerial video to explore the Scarborough Bluffs, a string of cliffs located at the eastern edge of Toronto’s waterfront where natural and human-made elements collide. Dust Cycles investigates the past and present of the Bluffs, from the rock and clay strata that reveal the last Ice Age to the present day properties on the brink of destruction due to erosion. Made possible through the generous support of The Toronto Arts Council, Ontario Arts Council and Liaison of Independent Filmmakers of Toronto. Eva Kolcze is a Toronto-based artist who creates films and installations that investigate themes of landscape, architecture and the body. Her work has screened at venues and festivals including the National Gallery of Canada, Musée d’art contemporain de Montréal (MAC), Anthology Film Archives, the Gardiner Museum, Cinémathèque québécoise, Birch Contemporary, Angell Gallery, International Rotterdam Film Festival and the Images Festival. On September 16th, at 4:00pm, join us for the Opening Reception of BAM 2018 and be the first one to see remarkable and thought-provoking works by nine artists on three themes: Solidarity, Roots Revival and Gender Freedom. At this event, look forward to some delicious cocktails (mojitos and caipirihnas! ), mocktails, and wines! Bring your friends and family and have an amazing time! BAM, is a week-long arts exhibition featuring the work of emerging Artists of Latin American heritage. Join us and connect with your community through art, music and spoken word. BAM is an event organized by Casa-Pueblito, our vision is compassion and social justice accross borders. To find out more, visit www.casapueblito.org. Many thanks to our founding BAM sponsor Meridian Credit Union. From September 16th to the 22nd, join us for BAM 2018 and experience a remarkable and thought-provoking exhibition by nine young artists of Latin American heritage on three themes: Solidarity, Roots Revival and Gender Freedom. September 16h: 4:00pm-6:00pm: Opening Reception. Click here for more info. September 20th: Performance Night. Updates coming soon! Through lines is presented across several locations at Artscape Youngplace: Koffler Gallery (1st floor), Critical Distance (3rd floor) and the outdoor billboard (Shaw Street). Through lines brings together the works of seven artists that challenge notions of redaction, tackling its typical devices of shredding, blacking out, editing and covering up. Each project featured in this exhibition engages a restorative gesture that speaks to the ways in which history and memory are conceptualized within a contemporary context. Rather than considering redaction simply as a bureaucratic tool or an outcome of state control, these specific approaches enable new forms of knowledge production and remembering, both politically and personally. Contemplating alternative legibilities that might emerge through redaction, the exhibition highlights the spaces of inquiry revealed through acts of obstruction. Image: Leila Fatemi, Revealed/Reveiled, 2018. What is the significance of the material things we keep? What do objects mean to us? Objects can simultaneously represent a presence and an absence, hold memories, and sentimental value to people and times which have passed. 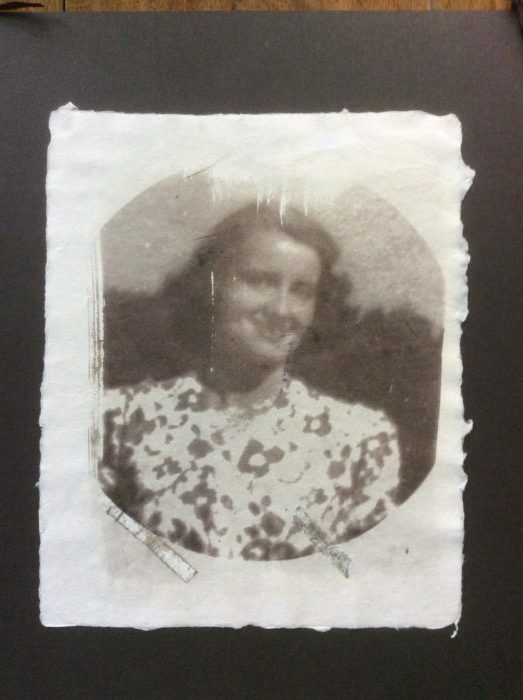 Using the medium of the paper arts, Lost and Found touches on the body and memory, and calls attention to the emotional value and impact of found objects. Through the acts of making and re-contextualization, the significance and value of these found objects shifts. Hosted in Artscape Youngplace’s first floor Hallway Gallery, Lost and Found features the work of three artists who are a part of Paperhouse Studio’s Membership Program. The artists have incorporated found footage, experimental photography processes, metal and wire, handmade papers, and more. Lost and Found is Paperhouse Studio’s first Members show. Paperhouse Studio’s Membership Program aims to encourage diversity, inclusivity, and accessibility, following a pay-what-you-can model. Members have access to studio facilities, discounts on supplies and classes, access to Canadian Bookbinders and Book Artists’ Guild’s Open Studio workshops, and more. Paperhouse Studio offers a Work Exchange Membership, a volunteer-for-rent program. The goal is for volunteers to develop arts based work experience and have access to studio space. For every 2 hours of volunteer time, members get 1 hour of personal studio time. Paperhouse Studio is an experimental arts studio rooted in paper as the medium. We strive to create an approachable, educational, and playful environment for artists, to encourage accessibility and inclusiveness, and to share our space and expertise in order for artists to experiment and explore new ideas in their work. I am a part time student at OCADU and at the Toronto School of Art. I have a small darkroom in my basement in Muskoka. When I first moved out of the city, I took many shots of old farm buildings in various states of decrepitude. I thought about the narrative of the families that had lived there. More recently I am interested in making photos in the sunlight or in the full moonlight. Jill Smith is an interdisciplinary artist based in Toronto, Ontario (b. 1995). Her most recent work explores everyday absurdity, as well as the connective possibilities of materiality. By re-contextualizing familiar motifs with organic, bodily forms, her work calls into question how one both exists and performs as a social body. While Smith’s work stimulates the imagination through whimsical and nonsensical colour and form, it is the relatable, yet ambiguous materiality that offers a platform to question the familiar, and escape to the alien and the uncanny. Smith holds a Bachelor of Fine Arts (Honors Specialization in Studio Art) at Western University in London, Ontario. Her work includes printmaking, ceramics, photography, and painting, relying heavily on experimentation and process. Smith has exhibited her work in galleries across Ontario, such as the Artlab Gallery, Forest City Gallery, The Arts Project, Open Studio, Earl Selkirk Gallery at ARTiculations, and Daniels Spectrum, as well as Friends and Neighbours Gallery in Montreal, Quebec. She has participated in artist residency programs including Sparkbox Studio (Picton, ON), AGA Lab (Amsterdam, NL), and Luminous Bodies (Toronto, ON). James Spyker is a book binder and box maker. Paperhouse Studio specializes in using paper as a medium for experimental arts. They offer a community-focused membership program which includes benefits such as access to studio space, discounts on classes, and opportunities for exhibiting (in our hallway galleries!). We sat down with Lucia Wallace, a current Work Exchange Member to talk about Paperhouse Studio’s first Members’ Show, and her experience as a member. Admission is always free; building and gallery are fully accessible. In partnership with Gallery 44, EXPOSING LIMINALITIES brings together the work of five artists that expand, challenge, and question notions of the in-between. Employing elements of both analogue and digital photography practices, this exhibition considers the myriad intersections that can define oneself. Liminality holds flexible meanings: it encompasses the transitional stage of a process, and the act of occupying a position at or on both sides of a boundary or threshold. Reflecting on liminality as a critical discourse, these artists probe places and contexts that are immediate yet deeply personal – embodying and responding to conditions that approximate liminal space through investigative means. 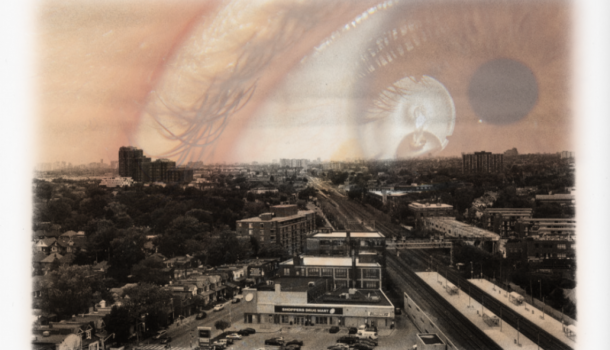 Different states of being are examined through the eyes of these artists: between what was once home and what is now home; between disparate temporal and spatial coordinates; between boundaries, borders, or margins; between success and failure; between the visible and the unseen; and between liberation and restraint. By drawing on moments that are overlooked with deep criticality and inquisitive gaze, the artists featured in Exposing Liminalities aim to bridge the gaps between us. Together, the artists carve out a new space for inquiry, where the liminal becomes the limitless. The artists featured in this exhibition are alumni from Gallery 44’s OUTREACH program, and winners and honourable mentions of the David Barker Maltby Award. All of the work was shot on 35 mm film and developed in Gallery 44’s darkroom and digital printing facilities. Azaeb Adane is an emerging artist specializing in film photography. A 2017 recipient of the David Barker Maltby Award, Adane has had no other formal training in the arts previous to her enrolment in the OUTREACH program. Now with this achievement under her belt, Adane is focused on honing her voice as a first generation Canadian-Ethiopian. Raised in Toronto, her work documents others hailing from the diaspora, and examines juxtapositions around finding a balance between modernity and traditional living, which both have their consequences to the modern native. Clayton Batson is a Toronto-based interdisciplinary artist of West Indian descent. He is a recent Graduate of Humber College’s Theatre Performance program (2018). Migrating between performance, photography, and poetry, Clayton’s practice is centered on intimacy and truth. His work seeks to challenge perspective, explore aspects of the self, mental health, sexuality, spirituality and inspire change and acceptance, which he examines with an outside eye looking from within. Eli Carmona is a Salvadorean-born artist based in Toronto. Their work includes casual/street photography, motion graphics, and graphic design. Their work means to create a relationship between identity and the spaces they navigate as a queer-latine-nonbinary person. They are currently working at The 519 as a Communications Specialist. Tahoy James is an emerging artist who works with photography, video, and installation. She is motivated by the day to day emotions and moments humans tend to ignore or overlook. Her hope is that her work will cause the viewer to feel happy, emotional and/or slightly uncomfortable. 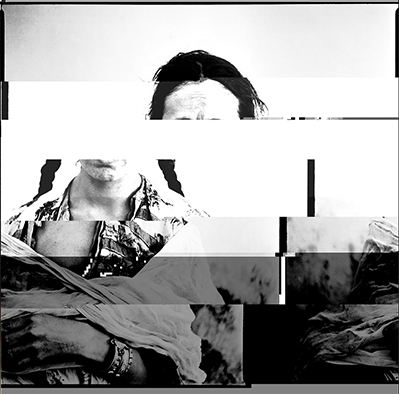 Ebti Nabag is a visual artist who works with photography, video, and installation. A graduate of the Documentary Media MFA program at Ryerson University, her work is motivated by stories from the average human. Recent exhibitions include Movement in Tradition: Tobe (2016), Vitiligo at the AGO (2015), Intersections (2014) featured at the CONTACT Photography Festival, and I AmNot My Hair (2012). She hopes her documentations serve as bridges between people and communities. A digital and analogue photography instructor, Nabag teams up with galleries and community centers to develop art programs that provide opportunities for creative self-expression and aid in the development of identity. Nabag has served as both a facilitator and instructor for the OUTREACH program in recent years. Emma German is an emerging curator and writer working between St. Catharines and Toronto. She holds an M.A. in Art History and a Graduate Diploma in Curatorial Studies from York University (2017). Her research explores exhibition spaces as sites of embodied experimentation. Engaging a wide scope of subjects, contexts, and temporalities, she is interested in promoting decelerated modes of perception to stimulate close looking and speculative inquiry around contemporary art. She has held curatorial and administrative positions at Rodman Hall Art Centre, Gallery 44 Centre for Contemporary Photography, and the Art Gallery of Ontario. Her research was recently published in the Journal of Curatorial Studies. Gallery 44 Centre for Contemporary Photography is a charitable, non-profit, artist-run centre committed to supporting multi-faceted approaches to photography and lens-based media. Founded in 1979 to establish a supportive environment for the development of artistic practice, Gallery 44’s mandate is to provide a context for meaningful reflection and dialogue on contemporary photography.